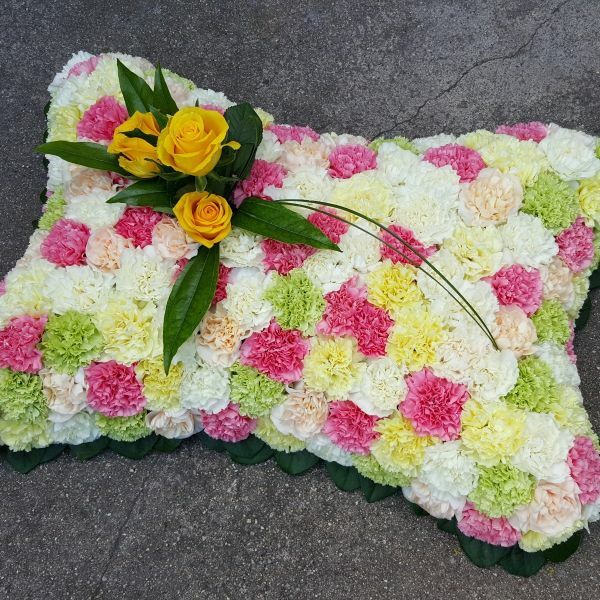 The patchwork pillow is made using a pastel mix of fluffy dianthus in sage green, pink, lemon and white carnations. Approx size: 22 inches / 55 cm in length and 12 inches / 30 cm in height. .